The Spanish-language production unit set up by Endemol Shine North America and Mexican prodco Boomdog is partnering with local star Mauricio Ochmann on a drama series. Ochmann will star in and produce political thriller El Asesor with Endemol Shine Boomdog through his production shingle A Toda Madre Entertainment. 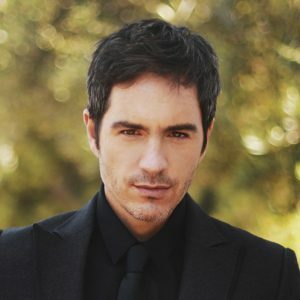 Ochmann, the award-winning film and television actor known for series including Telemundo’s El Chema and El Senor de los Cielos, will be at the centre of a story as a political counsellor and law firm partner who will do whatever it takes to make his candidate the most powerful man in Mexico. Ochmann is married to actress Aislinn Derbez with whom he owns the television and film production company A Toda Madre Entertainment, based in Los Angeles. The prodco recently acquired the film rights to the book The Toltec Art of Life and Death. Endemol Shine Boomdog was formed last year when Endemol Shine North America merged its Spanish language division Endemol Shine Latino with Mexico City-based production company Boomdog. The newly combined studio, which has offices and production facilities in Mexico City, Los Angeles and Miami, is focused on developing and producing scripted and unscripted content for the US Hispanic and Mexican TV markets. It recently hired experienced film and TV producer Leonardo Zimbron to continue its push into scripted.